BRAND NEW 2019 RELEASE! 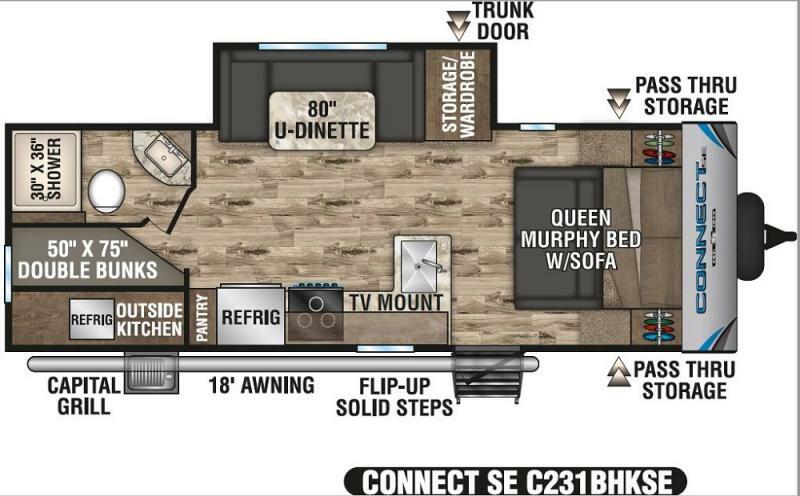 See this KZ Connect SE C231BHSE at our Harmony Travel Trailer lot. This Bunkhouse model will be sure to leave a lasting impression. Roomy bunks in rear with adjacent private bath. Outside camping kitchen and so much more. The features seem endless...explore them all today!